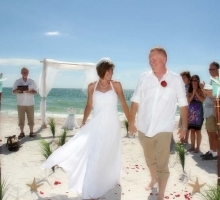 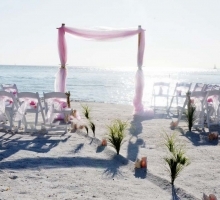 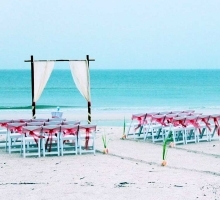 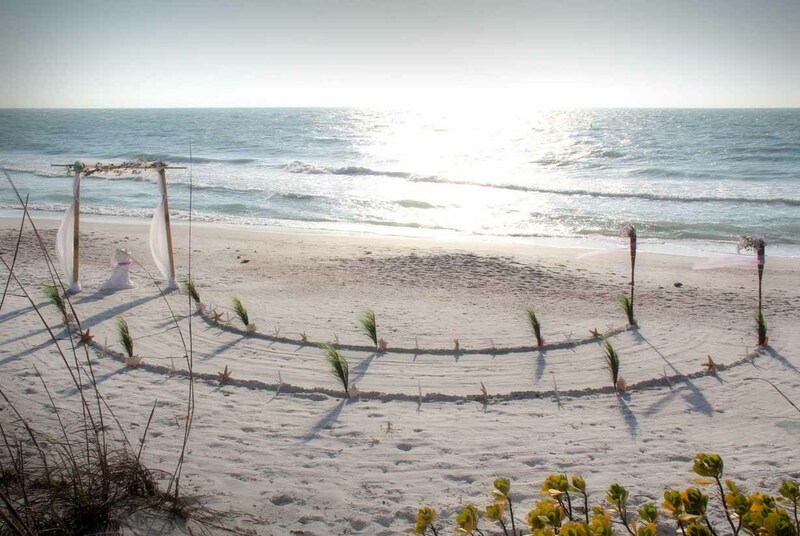 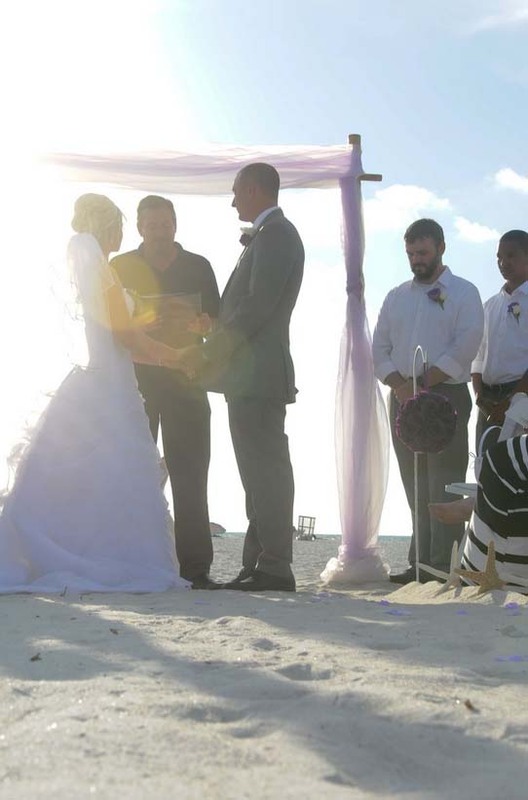 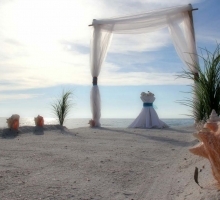 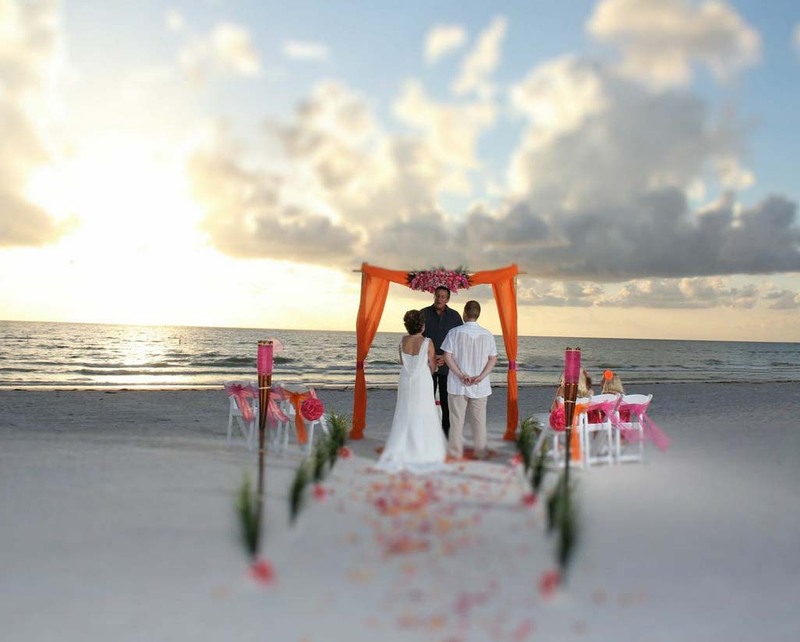 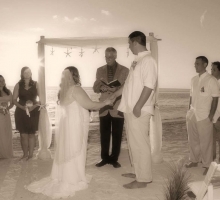 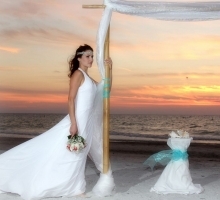 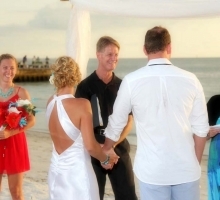 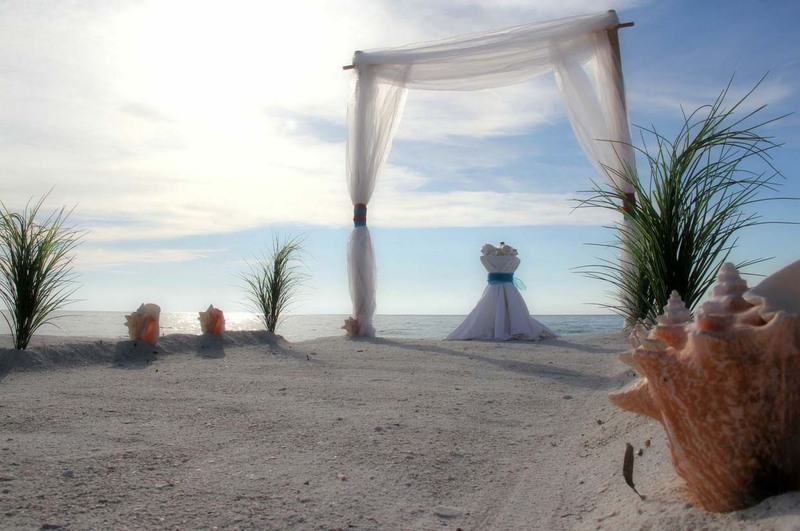 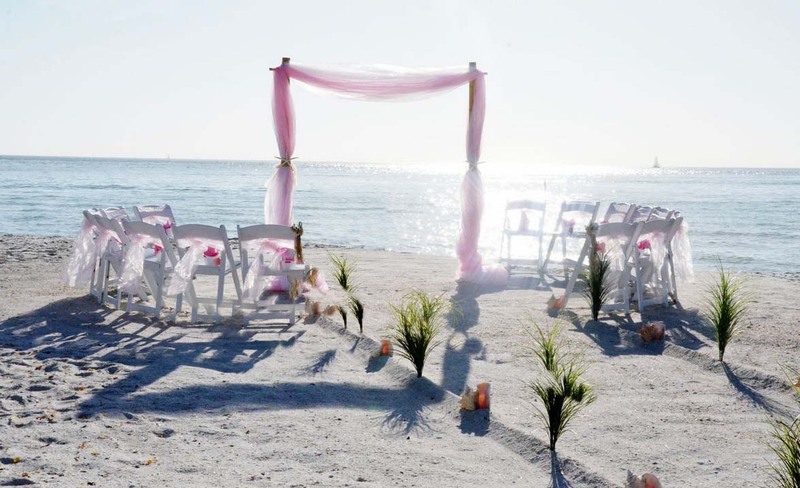 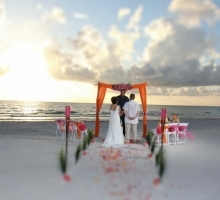 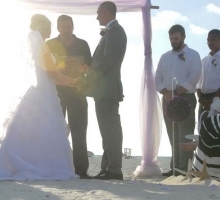 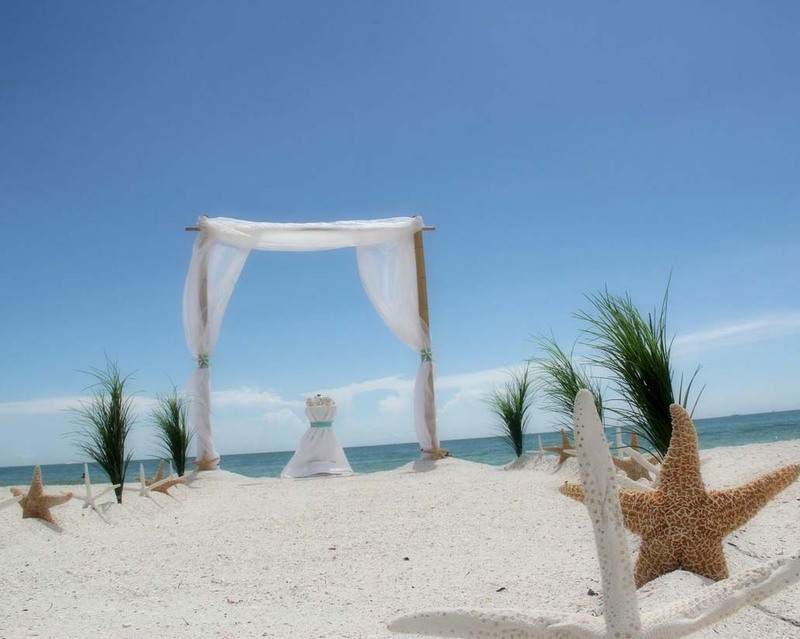 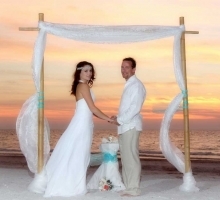 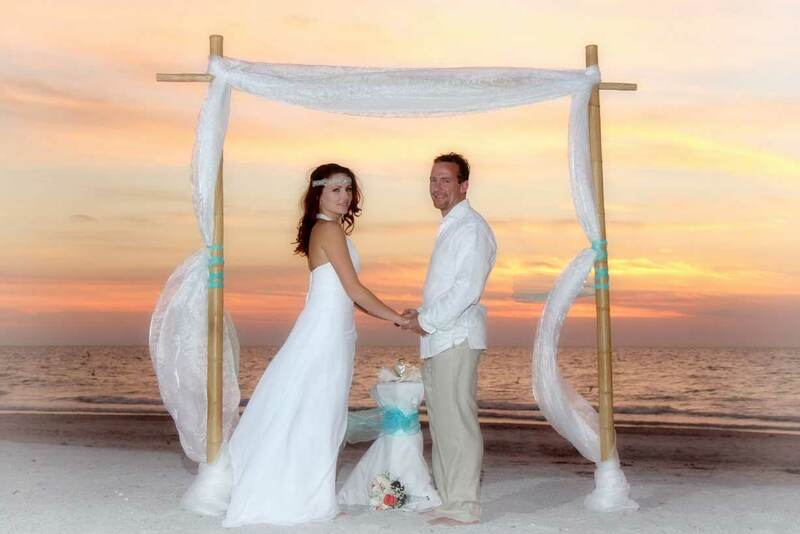 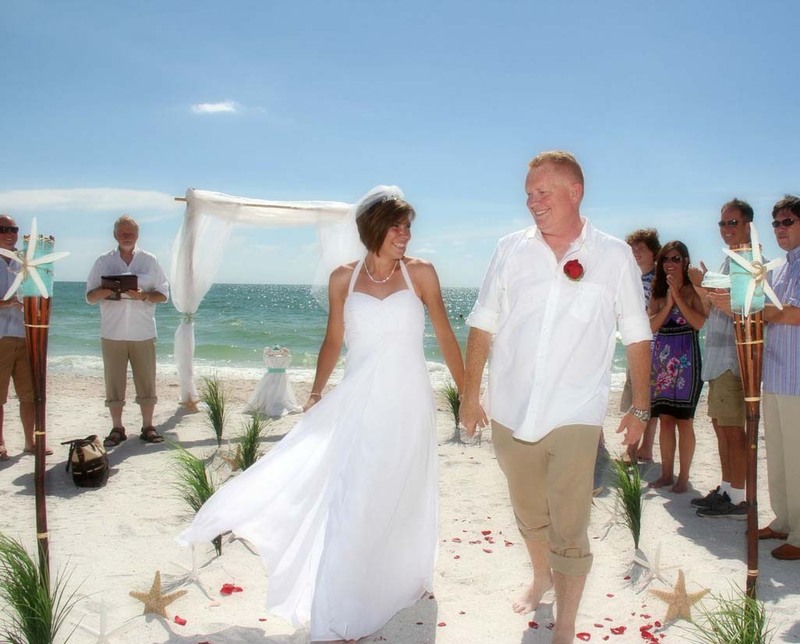 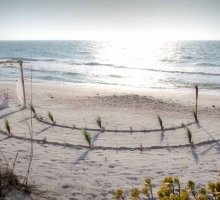 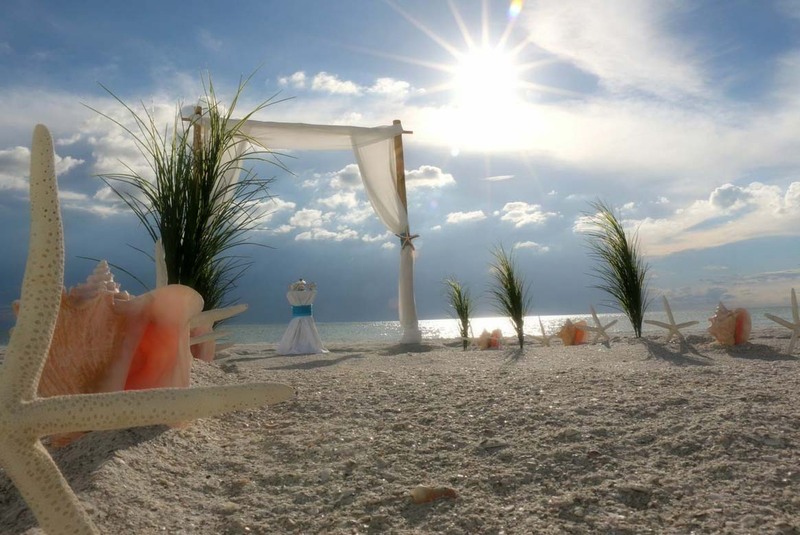 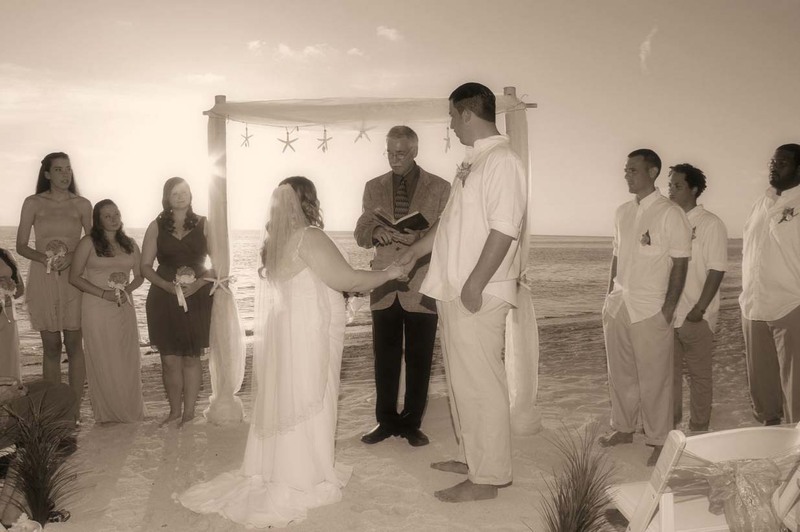 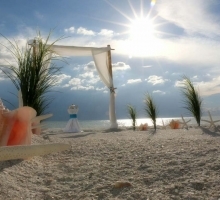 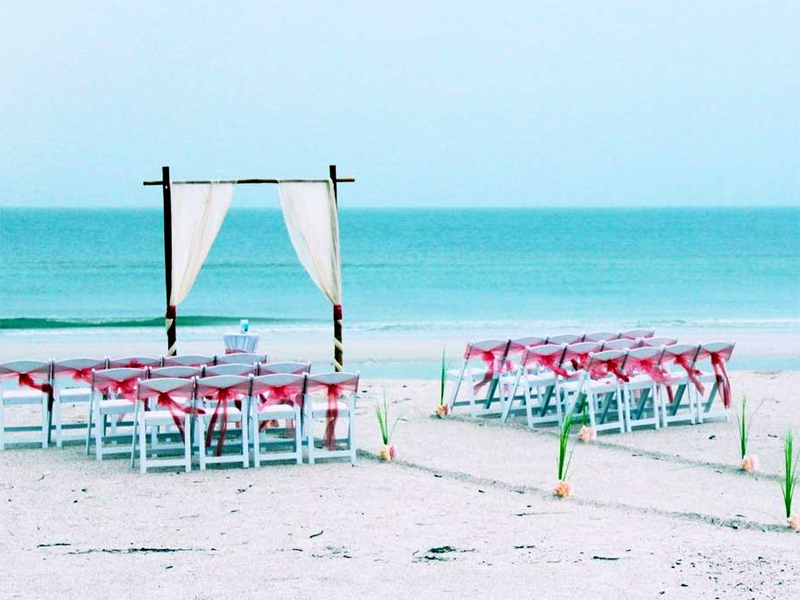 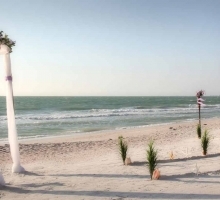 Wedding packages in Florida have never looked this good! 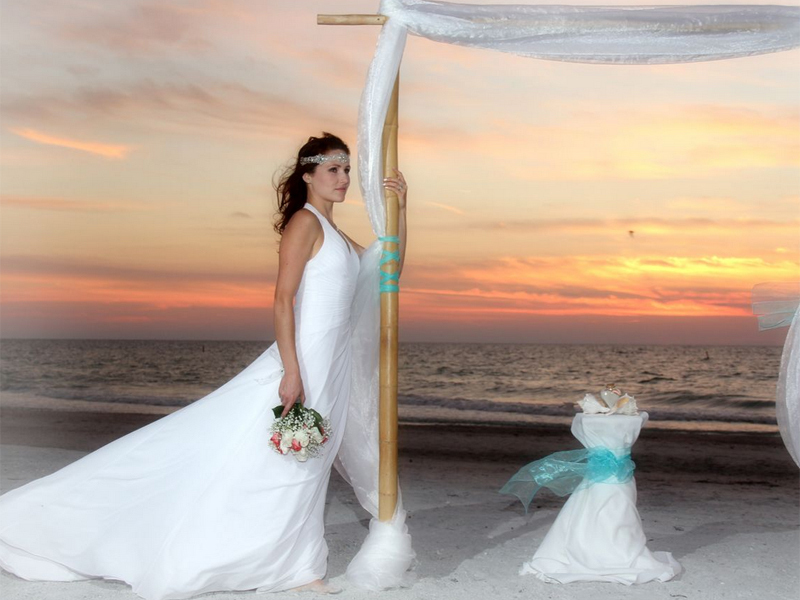 Our signature Suncoast package is affordable and stylish. 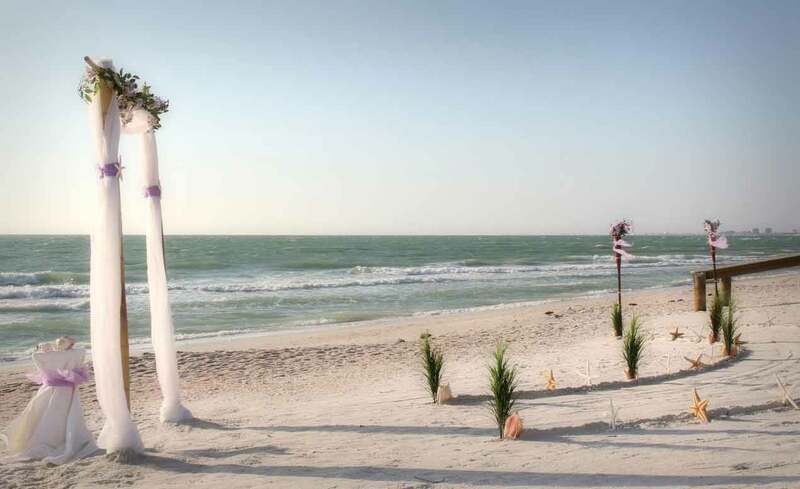 The day is special, it has to be remembered forever. 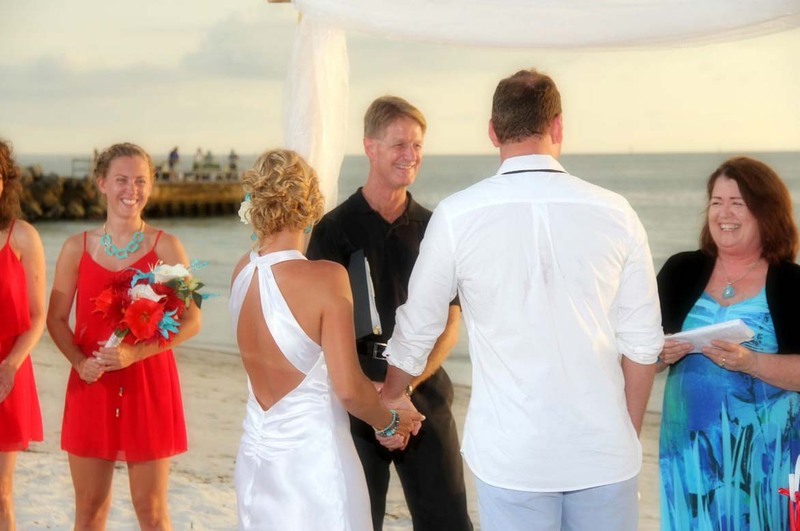 Our photographer will capture each smile and emotion - joy and elation. 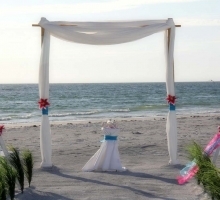 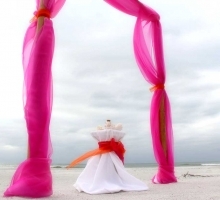 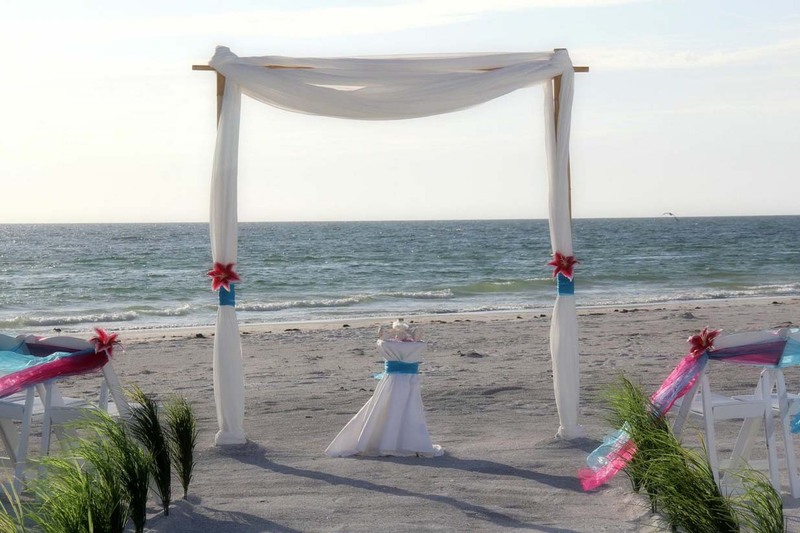 Say your vows under a traditional arch with a modern beach twist - a floral focal point or draped organza in your choice of accent color. 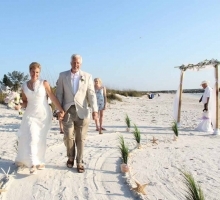 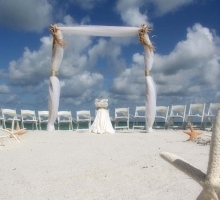 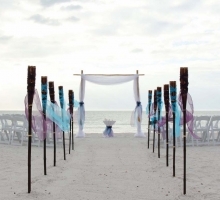 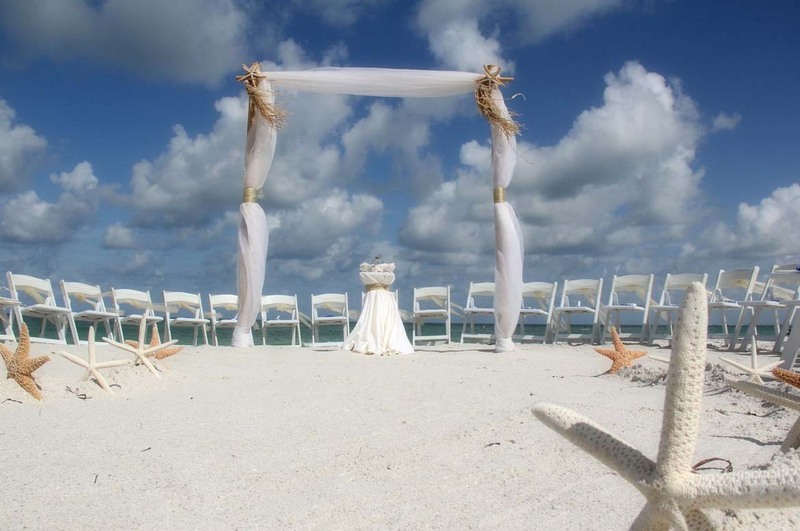 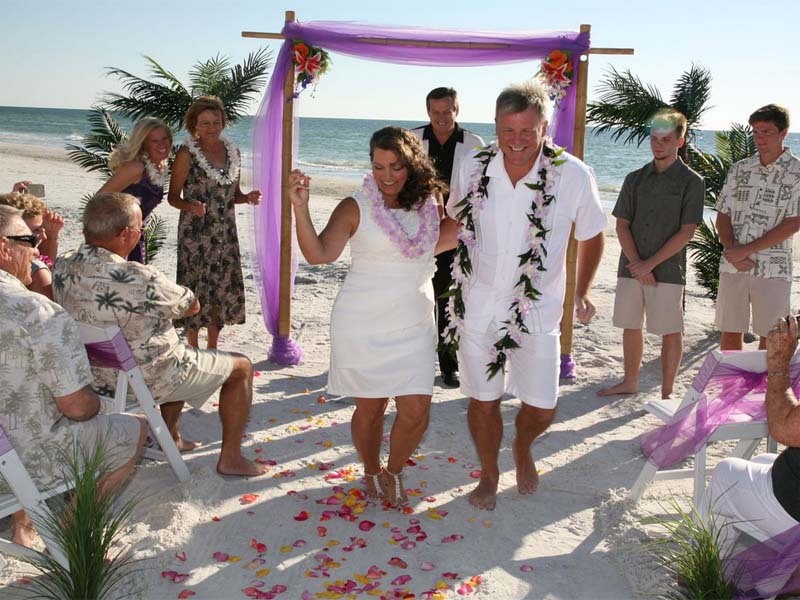 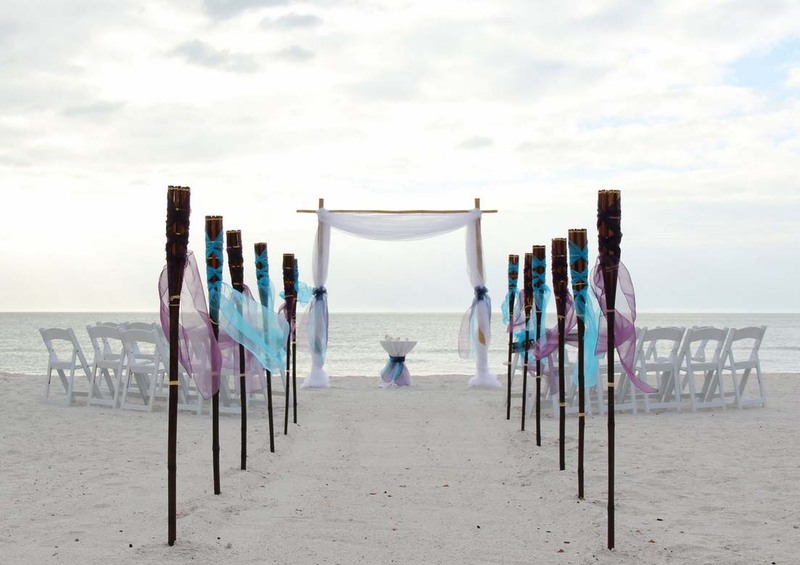 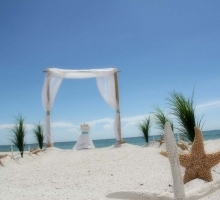 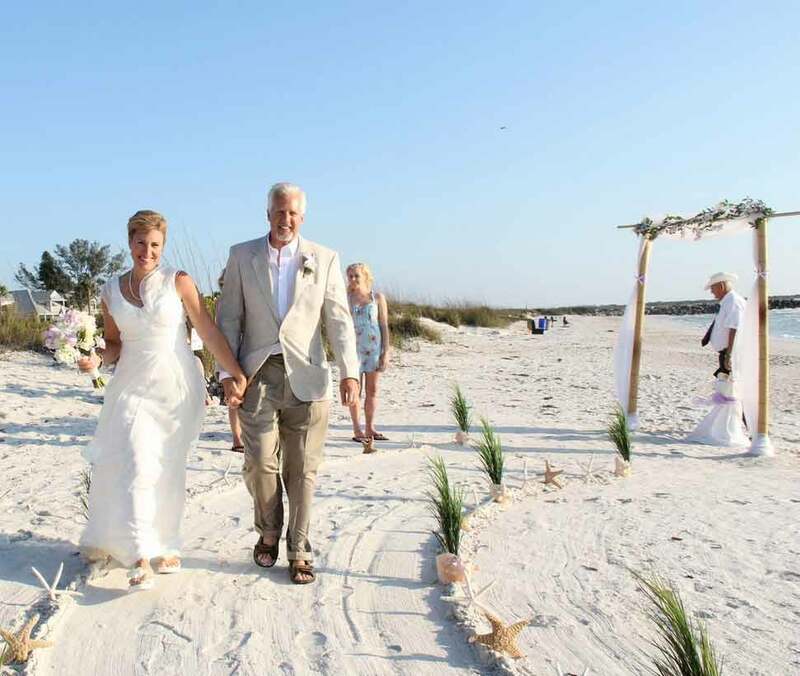 Walk to your destiny along a decorated aisle with tikis, to the music of your choice. 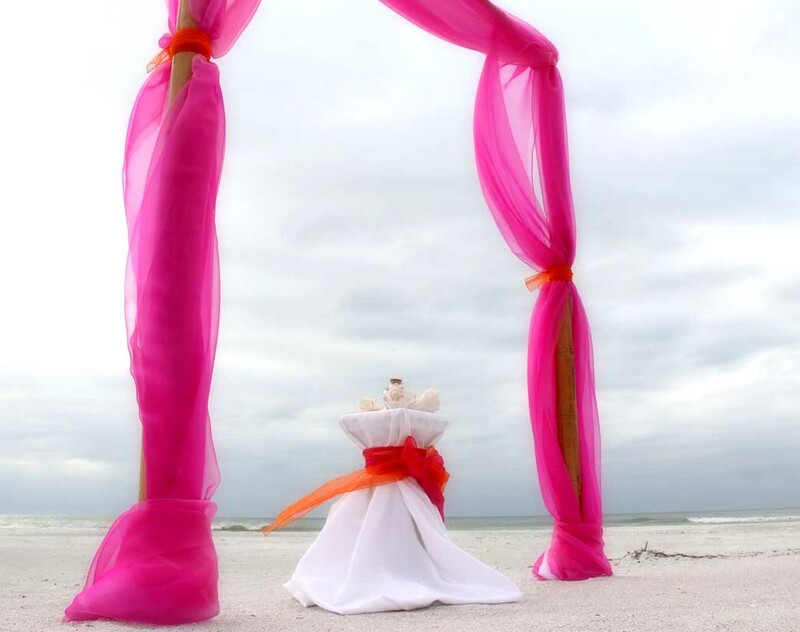 Let your senses be treated to the color and flow of our signature service tailored to you with your individual style.